You can hire venues on the premises of the NIZAMIYE COMPLEX for a fixed price. 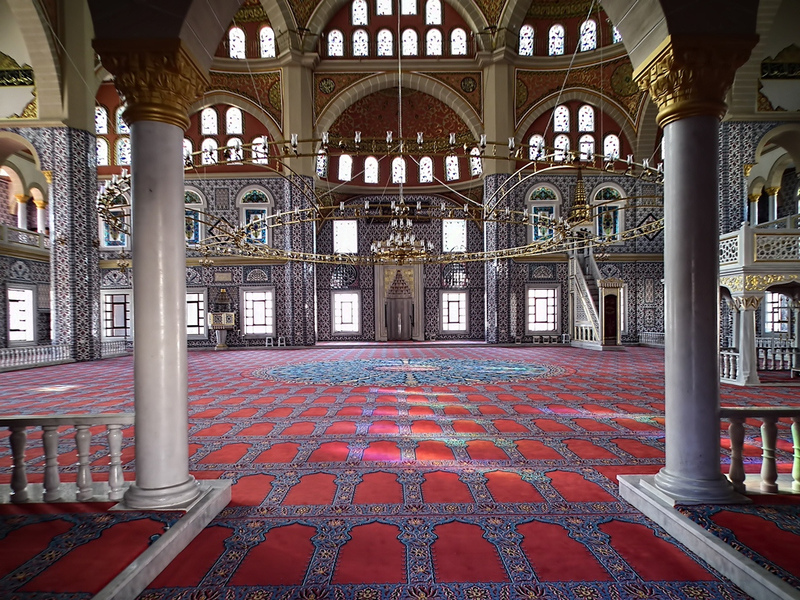 The Mosque has a spacious oriental room where different social activities can be held. We have also different size of halls for your occasions and celebrations. 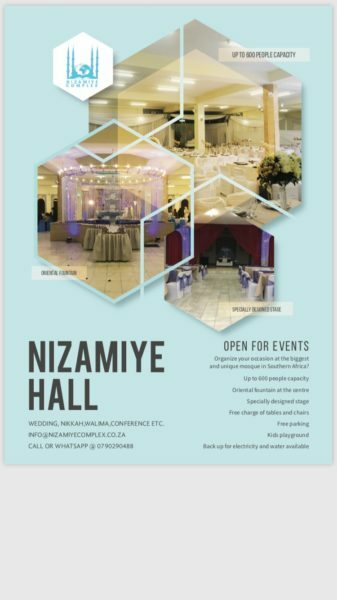 Currently breakfasts, weddings, seminars, meetings, receptions and community gatherings are held in this area with tables, chairs, stage and easy access to the prayer hall. We have also playing ground and facilities for your beloved kids.parking is no more hassle.